In a small bowl, whisk together beef broth, brown sugar, balsamic vinegar, soy sauce, salt, red pepper flakes and garlic. 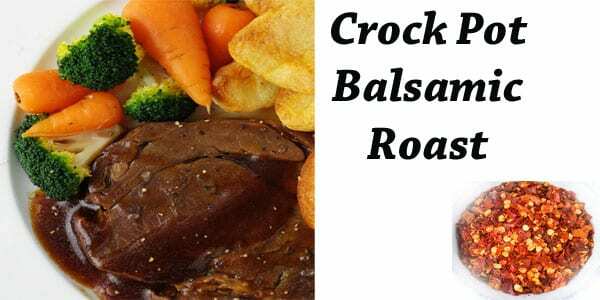 Place beef roast in crock pot. Top with carrots and potatoes. Pout liquid mixture over the beef, carrots and potatoes.